Hello there and welcome to the October Clearly Besotted Teasers. The design team will be sharing teasers with you from the new (huge!) release from now until (and including) the 5th, when they will be released. We have an amazing return Guest Designer with us this month, the amazing Keren Baker. My card today uses the new From Our Home stamp set. 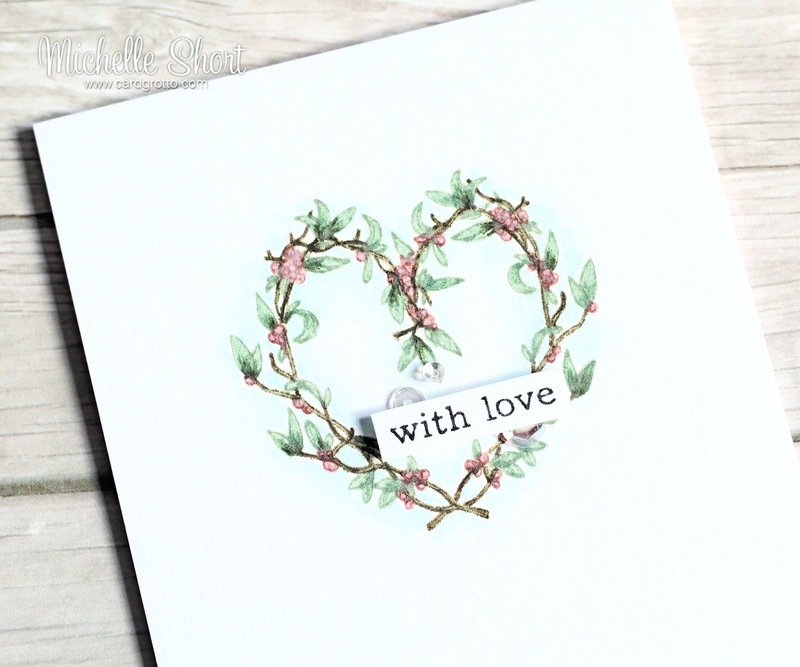 I started off by stamping the heart wreath on to some watercolour paper, using Antique Linen Distress Ink. I then coloured it using Distress Markers in Walnut Stain, Bundled Sage, Forest Moss and Victorian Velvet. I also added a little Tumbled Glass around the outside for some shadow. 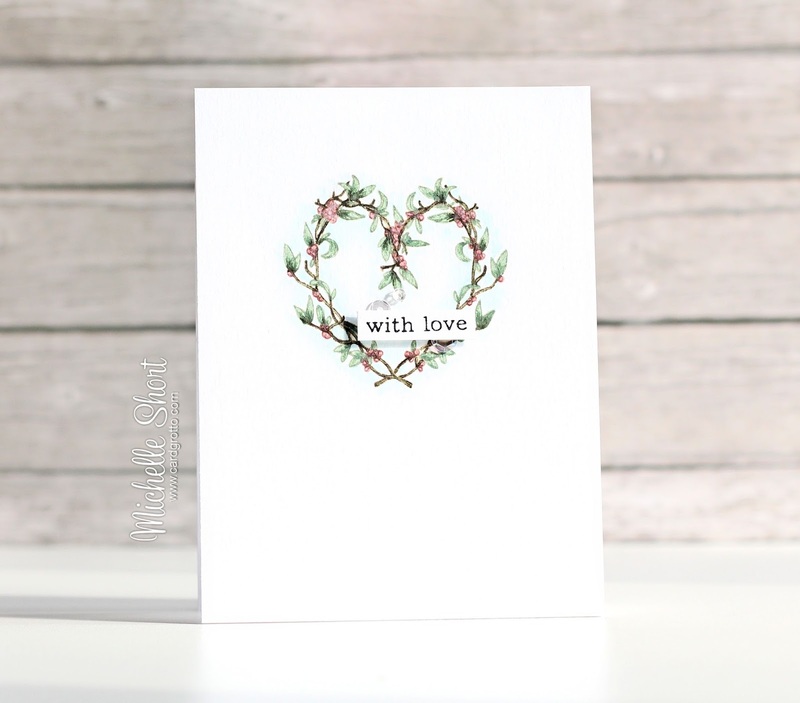 The sentiment, from the Friends Forever stamp set, was stamped on more watercolour paper with black ink and then cut out. This was added to the panel with foam tape. The panel was adhered to a white A2 card base and I finished off with a few sequins. DISTRESS MARKERS: Walnut Stain, Bundled Sage, Forest Moss, Victorian Velvet, Tumbled Glass. Thank you so much for visiting me today. Please pop over and see Stephanie, who will not only have some amazing samples to share with you, she will also have links to the other DT sharing today. See you tomorrow! Amazing! Love how you coloured the image! Very CAS but oh so beautiful! Lovely! Love the sweet look this has! Gorgeous card. Such a elegant CAS design. Fabulous colouring too. This is so soft and lovely! Great job! I just love this sweet wreath Michelle - gorgeous colouring.